The Blackpool Gazette and Team Nick are reporting the Booyakasha TMNT news that it's Turtle Time at Nickelodeon Land at Blackpool Pleasure Beach this July! 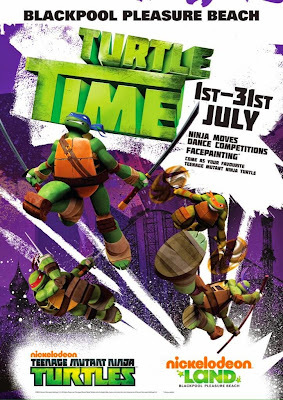 As part of Turtle Time, Nickelodeon's Teenage Mutant Ninja Turtles - Leonardo, Raphael, Michelangelo and Donatello - fresh from the sewers of New York City, are taking over the UK's only Nickelodeon Land, where they'll be meeting and greeting their younger fans, performing special live shows, and showing off their latest Ninja moves everyday from Tuesday 1st July 2014 until Thursday 31st July 2014! There'll also be Ninja Moves Dance Competitions and face painting and ShellHeads are encouraged to come dressed as their favourite "Teenage Mutant Ninja Turtles" character! Unlimited Ride wristbands cost from £17.99 for juniors and £19.99 for adults when booking 10 days in advance at www.blackpoolpleasurebeach.com. Upcoming character-led Nickelodeon activities during the 2014 season include, SpongeBob's SplashBash Challenge in August 2014, Toddle Time with Dora and Diego in September 2014 and the Teenage Mutant Ninja Turtles in October 2014. 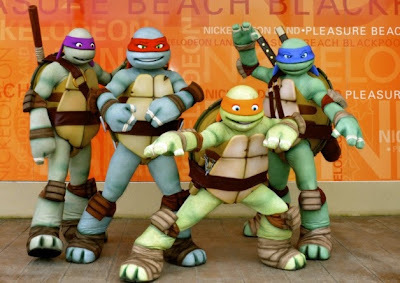 Nick's fearless Heroes in a Half Shell - Leo, Raph, Mikey and Donnie - recently climbed and descended down The Big One, a 235ft high steel roller coaster at Pleasure Beach, Blackpool, the UK's favourite tourist attraction on Monday 16th June 2014 for ABF The Soldier's Charity. Don't forget to follow the crazy Team Nick gang on Twitter and Instagram for the latest Nickelodeon Land news, and take a 360 tour of Nickelodeon Land UK here on BlackpoolPleasureBeach.com! The Teenage Mutant Ninja Turtles are taking over Nickelodeon Land at Blackpool Pleasure Beach this July. Leo, Mikey, Raph and Donny will be showing off their moves every day from July 1. Fresh from the sewers of New York City, the Turtles will be interacting with their younger fans in shows. Considered one of the most popular kids’ television programmes of the 1980s, Teenage Mutant Ninja Turtles is a classic cartoon which was first launched in 1984. For the modern era it’s been given a 21st animation on the small screen. Other character-led activities during the 2014 season include, SpongeBob’s SplashBash Challenge in August, Toddle Time with Dora and Diego in September and the Turtles in October. Follow NickALive! on Twitter, Tumblr, Google+, via RSS, on Instagram, and/or Facebook for the latest Nickelodeon Land UK and Teenage Mutant Ninja Turtles News! Ever wanted to bite into a Krabby Patty fresh off the grill? 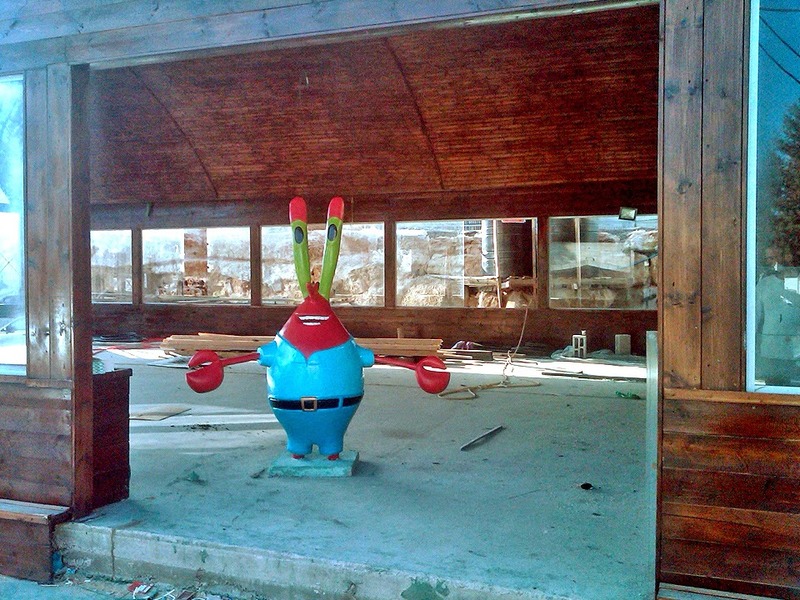 SpongeBob fans will be able to realize that dream soon! The International Business Times, the Los Angeles Times, Metro, Fox News and The Huffington Post Canada are reporting the Sponge-tastic news that a company called Salta Burgers is building an exact replica of the Krusty Krab - the fast food joint SpongeBob SquarePants and his neighbor Squidward Tentacles work in the hit Nickelodeon original animated series, "SpongeBob SquarePants" - in Ramallah, on the West Bank of Palestine! The building is being designed to be an exact replica of the fast food restaurant, complete with a lobster trap-shaped structure with nets on the windows, five flags strewn across the roof, and sailing ship steering wheels as tables. A model of Mr. Krabs, the founder and greedy owner of the Krusty Krab restaurant, where SpongeBob works as a frycook, even makes an appearance outside the building. 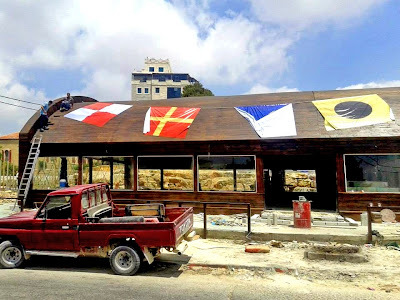 The Krusty Krab's official Facebook page, managed by Haytham Darwish, shows that the restaurant still under construction, and that the owners are looking for employees - cooks, cashiers, cleaners and security guards. There's no word on when the place opens and the menu and staff uniforms remain a bit of a mystery. It is also unclear whether the Palestinian entrepreneur/proprietor has gained permission from Nickelodeon and/or Viacom International Media Networks (VIMN), the owners of the "SpongeBob" brand, to build a real life Krusty Krab, or whether Plankton is planning to build a Chum Bucket right across the street. 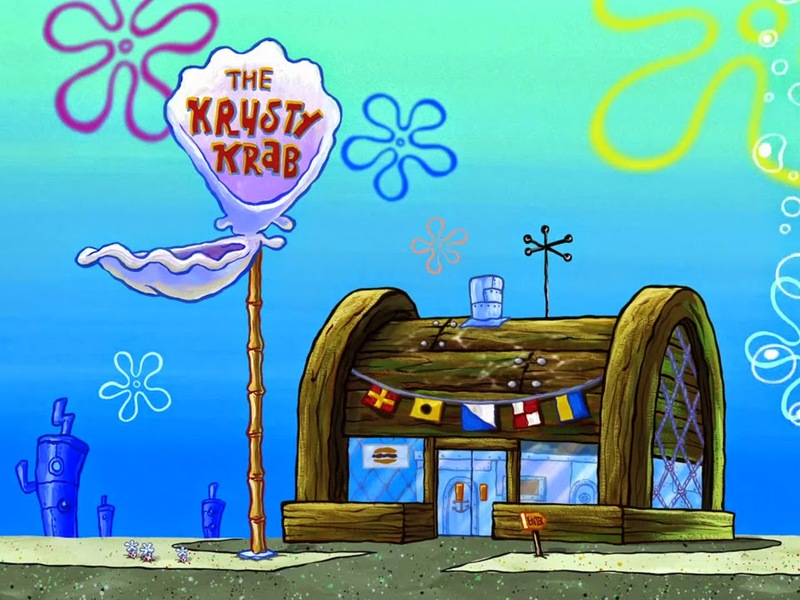 It is not the first to make use of the Krusty Krab name, with an establishment in Costa Rica – which has since closed – also paying homage to the famous Bikini Bottom hangout. 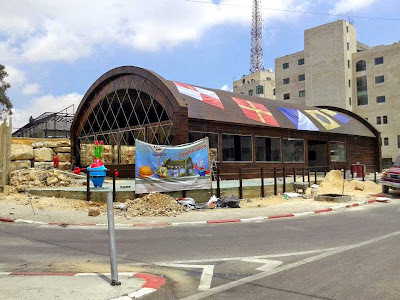 You can find more photographs of the Krusty Krab being built here on Salta Burgers official Krusty Krab Facebook profile page, Facebook.com/Salta3Burger.Palestine! Follow NickALive! on Twitter, Tumblr, Google+, via RSS, on Instagram, and/or Facebook for all the latest Nickelodeon and SpongeBob SquarePants News! 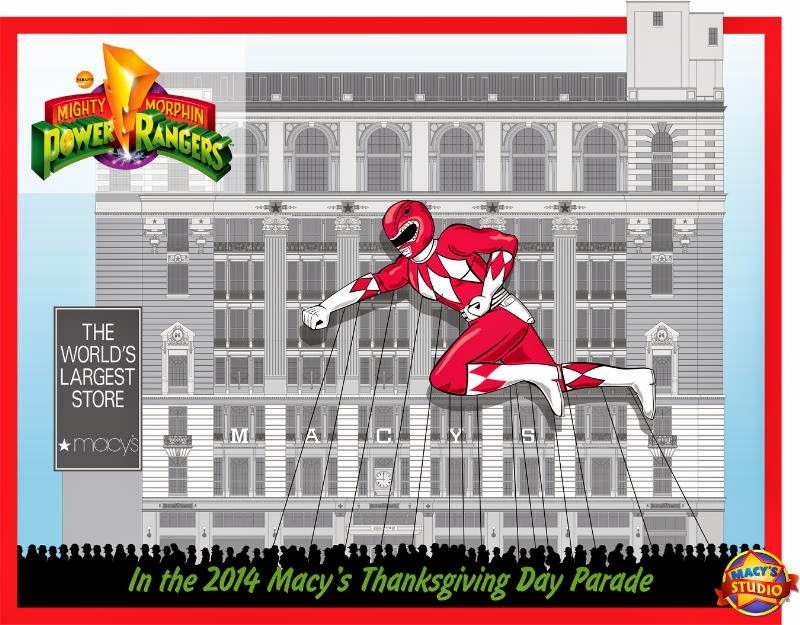 Saban Brands has announced in the following press release, from PR Newswire, the exciting "Power Rangers" News that, to celebrate Thanksgiving 2014, the legendary Red Mighty Morphin Power Ranger will make his epic debut as he morphs into a giant helium balloon for the 88th annual Macy's Thanksgiving Day Parade on Thursday 27th November 2014! Marking the first-ever Power Ranger balloon, the Red Ranger will captivate millions of spectators and television viewers nationwide as he flies across the skies of New York during the holiday event. Saban has also announced that Nickelodeon USA will continue to premiere and show brand-new episodes of "Power Rangers Super Megaforce" from Fall/Autumn 2014, and confirmed that Nick USA will debut the upcoming 22nd season, Saban's "Power Rangers Dino Charge", in early 2015. Additionally, Saban Brands and JAKKS Pacific, Inc. (Nasdaq: JAKK) recently announced their strategic collaboration on the development of a new multi-platform property, "Emojiville". Saban Brands will launch Emojiville as an original web series this fall, and is also developing a television series for the brand to debut in the near future. This new kids' series follows five emoji friends and their hilarious antics in "Emojiville" - a colorful town filled with spirited personalities and awesome adventures. 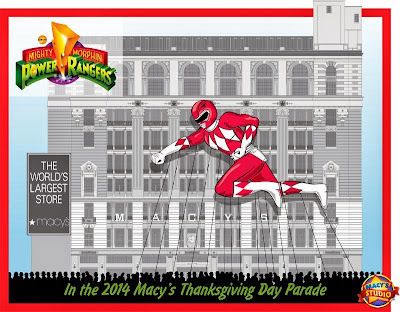 LOS ANGELES and NEW YORK, June 16, 2014 /PRNewswire/ -- This Thanksgiving, the legendary Red Mighty Morphin Power Ranger will make his epic debut as he morphs into a giant helium balloon for the 88th annual Macy's Thanksgiving Day Parade® on Thursday, Nov. 27. Marking the first-ever Power Ranger balloon, the Red Ranger will captivate millions of spectators and television viewers nationwide as he flies across the skies of New York during the holiday event. Saban's Power Rangers franchise is the brainchild of Haim Saban, creator and producer of the original Mighty Morphin Power Rangers hit series that launched in 1993. Following its introduction, Power Rangers quickly became the most-watched children's television program in the United States and remains one of the top-rated and longest running boys live-action series in television history. The series follows the adventures of a group of ordinary teens who "morph" into superheroes and save the world from evil. 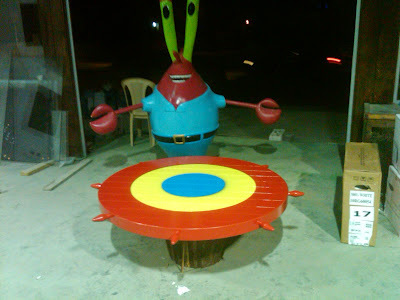 It is seen in more than 150 markets around the world, translated into numerous languages and is a mainstay in the most prominent international children's programming blocks. For more information, visit www.powerrangers.com. Formed in 2010 as an affiliate of Saban Capital Group, Saban Brands (SB) was established to acquire and develop a world-class portfolio of properties and capitalize on the company's experience, track record and capabilities in growing and monetizing consumer brands through content, media and marketing. SB applies a global omni-channel management approach to enhancing and extending its brands in markets worldwide and to consumers of all ages. The company provides full-service management, marketing, promotion and strategic business development for its intellectual properties including comprehensive strategies unique to each brand, trademark and copyright management and enforcement, creative design, retail development, direct-to-consumer initiatives and specialized property extensions. SB's portfolio of properties currently includes Power Rangers, Paul Frank, Julius Jr., Digimon Fusion and Popples, among many others. For more information, visit www.sabanbrands.com. With more than 50 million viewers across the country and more than 3.5 million spectators that line up along the streets of New York City each year, the Macy's Thanksgiving Day Parade is a national icon that has grown into a world-famous holiday event. For more than 85 years, the Macy's Thanksgiving Day Parade has marked the official start of the holiday season. Growing in size and scale, the Parade proudly marches down a more than 2-mile route in New York City with more than 8,000 participants in tow including Macy's employees, their families, celebrities, athletes, clowns and dance groups spreading holiday cheer. The Parade also features America's best marching bands, fabulous floats and Macy's signature giant helium character balloons. For more information on the Macy's Parade please visit www.macys.com/parade or call the Parade hotline at (212) 494-4495. Follow NickALive! on Twitter, Tumblr, Google+, via RSS, on Instagram, and/or Facebook for the latest Nickelodeon and Power Rangers News! "Hey Arnold!" writer and voice actor Steve Viksten died Monday at the age of 54. Viksten voiced the character Oskar Kokoshka, a mooch with an ambiguous Eastern European accent, on the iconic Nickelodeon TV show. There’s no word yet as to the cause of his death. In addition to his memorable performance as Oskar, Viksten shined as a writer. According to The A.V. Club, Viksten wrote the "Hey Arnold!" movie, as well as some fan-favorite episodes including "Arnold's Hat" and "Stoop Kid." His writing credits also include episodes of "Rugrats," "Recess," "Duckman" and "The Simpsons." "We are deeply saddened to learn that Steve Viksten has passed away. Steve was a gifted artist and we were honored to have the opportunity to work with him on our beloved shows 'Hey Arnold!' and 'Rugrats.' Our heartfelt condolences go out to his loved ones," Nickelodeon, which confirmed news of his death, said in a statement to The Huffington Post. 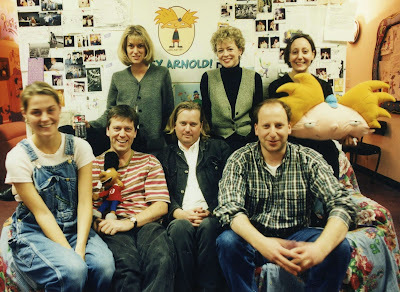 Craig Bartlett, who created "Hey Arnold! ", posted a memorial about Viksten to his Facebook page on June 24. "Steve Viksten, who wrote many of my favorite Hey Arnold! Stories, died yesterday. I was lucky to be near to so much talent for so long. RIP," the post reads. Commenters have since been showering the thread with their condolences. "RIP Steve Viksten... Thank you've for using your talent and allowing it to bring joy to thousands of kids, teens and adults," wrote one. "RIP, thanks for contributing greatness to my childhood," wrote another. 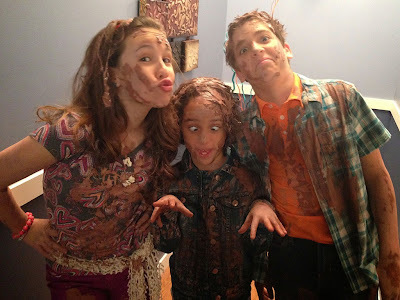 Nickelodeon USA has announced the magical Nick News on the networks official "Every Witch Way" website on nick.com and in a special 'behind-the-scenes of Every Witch Way' post on their official websites Nickelodeon Stars blog which talks about what the stars of the show get up to behind-the-scenes and on the studio set of EWW, which you can read below, that Nick USA will start to premiere and show brand-new episodes from the all-new second season of "Every Witch Way" weeknights at 7:30pm ET/PT / 8:30pm C from Monday 7th July 2014! 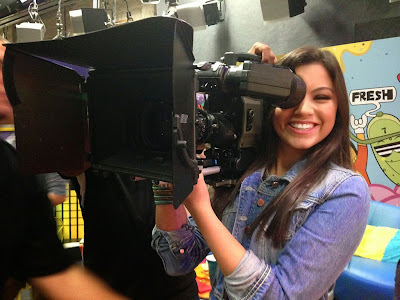 "Every Witch Way" season two promises to have more spells, more laughs, more romance and more awesomeness than ever! NickHeads in North America can catch up on the spellbinding action so far by watching all 20 episodes in full here on nick.com/witch! 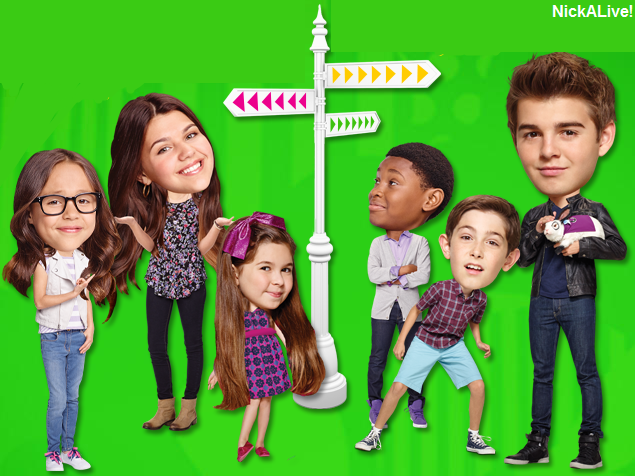 Additionally, Nickelodeon UK & Ireland and Nickelodeon HD UK will also start to premiere and show the first season of "Every Witch Way" on Monday 14th July 2014 at 5:30pm (repeated at 6:30pm on Nick +1)! THE EWW CAST IS PUMPED! Excited to see the Iridium High gang together again? You're not the only one! The cast of Every Witch Way is super pumped to be back. A new season of this sweet show means more spells, more laughs, more romance and more awesome. Here are some snaps of your favorite cast having a positively magical time on set! Louis Tomeo, Jason Ian Drucker and Jackie Frazey (A.K.A. the Terrible Three) are SO excited to flex their pranking muscles once more. We know this trio has tons of tricks up their sleeves! Lights, camera, Paola! Looks like Paola Andino can work her magic in front of AND behind the camera. Who knew? Zoey Burger and Denisea Wilson had the time of their life filming the new season of Every Witch Way. Work doesn't feel like work when you're with your best buds! Nick Merico was so super excited to start filming, he could barely wait for the camera to turn on! The gang couldn't get more pumped! It's clear this cast is ready, but are YOU? 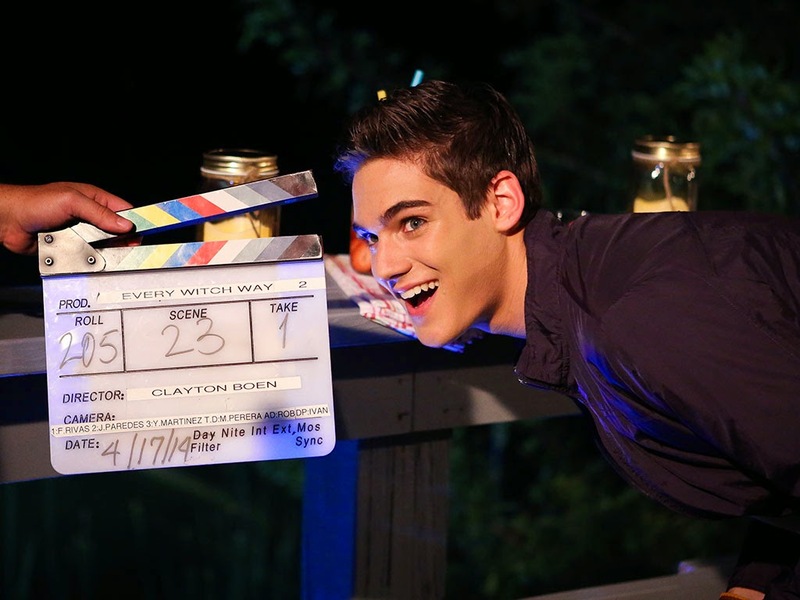 Don't miss the season premiere of all new episodes of Every Witch Way, starting July 7th at 7:30/8:30c. We can hardly wait! Follow NickALive! on Twitter, Tumblr, Google+, via RSS, on Instagram, and/or Facebook for the latest Nickelodeon and Every Witch Way News! Wrongs?" premiering Tuesday 1st July 2014 at 8:00pm (ET/PT). The special explores the pros and cons of animal testing. NEW YORK, June 26, 2014 – Kids from around the country debate the use of animals for research in the brand-new Nick News with Linda Ellerbee special, “Animal Rights…Or Wrongs?” premiering Tuesday, July 1, at 8:00 p.m. (ET/PT) on Nickelodeon. The special explores the pros and cons of animal testing. The Food and Drug Administration (FDA) requires medical products be tested on animals prior to being tried by human beings. An estimated 25 million animals are used in experiments every year in the United States. Some animals don't survive, but many drugs that save human lives were first tested on animals. "It's wrong. It's heartless," says Queenie, 12, of Denver, Colo.
"Most animals have the ability to feel pain, and I think we can all say without a doubt that animals wouldn't want to be tested on and cut open," says Ben, 12, of Hartford, Conn.
People in favor of using animals for research purposes will tell you that almost all medical advances have been directly related to animal-based research. But Lilia, a 16-year-old intern at the Animal Rights Coalition in Minneapolis says using animals for experimentation shows human culture is inconsiderate and selfish. "The thing that upsets me most about animals in labs is that they're helpless," says Lilia. "There's nothing they can do to get themselves out of there." Luke, 17, who goes to a special high school in Walpole, Mass., where he studies animal research in hopes of doing research himself one day, thinks most people value human lives over animal lives, even if they don't like to admit it. Liviya, 9, of Raleigh, N.C., whose life was saved by treatments first tested on animals, reminds everyone that a lot of modern medicine wouldn't exist without the help of research animals. "I needed treatment so my bone marrow could start working again," she says. "I found out that my treatment had been tested on animals and I feel very thankful for the animals. Without animal testing they wouldn't know if the treatment would work." Kat, 11, of Pasadena, Calif., is one of a group trying to help retired lab beagles get a second chance at life outside of the lab. "We think that after everything these dogs have done for us, they deserve a happy life afterwards," she says. "You may come away from this show knowing exactly where you stand regarding testing human products and procedures on animals," says Ellerbee. "But when you think about the issues of animal testing, keep in mind the possibility that sometimes there is more than one answer to a question." Nick News, produced by Lucky Duck Productions, is now in its 23rd year and is the longest running kids' news show in television history. It has built its reputation on the respectful and direct way it speaks to kids about the important issues of the day. Over the years, Nick News has received more than 21 Emmy nominations and recently won its tenth Emmy Award for Forgotten But Not Gone: Kids, HIV & AIDS in the category of Outstanding Children's Nonfiction Program. Additional Emmy wins for outstanding children's programming include: Under the Influence: Kids of Alcoholics (2011); (The Face of Courage: Kids Living with Cancer (2010); Coming Home: When Parents Return from War (2009); The Untouchable Kids of India (2008); Private Worlds: Kids and Autism (2007); Never Again: From the Holocaust to the Sudan (2005); Faces of Hope: The Kids of Afghanistan (2002) and What Are You Staring At? (1998). In addition, in 1995, the entire series won the Emmy. In 2009, Nick News was honored with the Edward R. Murrow Award for best Network News Documentary for Coming Home: When Parents Return from War — the first-ever kids' television program to receive this prestigious award. Nick News has also received three Peabody Awards, including a personal award given to Ellerbee for explaining the impeachment of President Clinton to kids, as well as a Columbia duPont Award and more than a dozen Parents' Choice Awards. Nickelodeon, now in its 35th year, is the number-one entertainment brand for kids. It has built a diverse, global business by putting kids first in everything it does. The company includes television programming and production in the United States and around the world, plus consumer products, online, recreation, books and feature films. Nickelodeon's U.S. television network is seen in almost 100 million households and has been the number-one-rated basic cable network for 19 consecutive years. For more information or artwork, visit http://www.nickpress.com. Nickelodeon and all related titles, characters and logos are trademarks of Viacom Inc. (NASDAQ: VIA, VIA.B). Follow NickALive! on Twitter, Tumblr, Google+, via RSS, on Instagram, and/or Facebook for the latest Nickelodeon and Nick News with Linda Ellerbee News! Trevor Kirschner, a director and associate producer on Nickelodeon's "The Haunted Hathaways", and the television news website The Futon Critic has announced the exciting Nick News that Nickelodeon USA will kick off the second season of "The Haunted Hathaways" on Saturday 28th June 2014 by premiering two brand-new episodes of the networks hit original comedy series back-to-back from 8:00pm (ET/PT)! First, in "Haunted Newbie", Taylor takes a new gymnastics teammate, Meadow, under her wing, but when Meadow has a tough time performing, will Taylor goes to extreme measures to help her new friend? Find out on a new "Haunted Hathaways" this Saturday at 8pm/7c! "The Haunted Hathaways" season two continues on Nick USA at at 8:30pm/7:30c with all-new THH episode "Haunted Revenge", where, after Frankie gets pranked by her arch nemesis Penelope, she turns to Louie to help her get revenge, but will everything work out as planned? You can watch sneak peeks of both episodes in the online streaming video clips below! The Futon Critic is also reporting that Nickelodeon USA will debut a brand-new "Haunted Hathaways" special episode titled "Mostly Ghostly Girl" on Saturday 26th July 2014 at 8:00pm (ET/PT)! 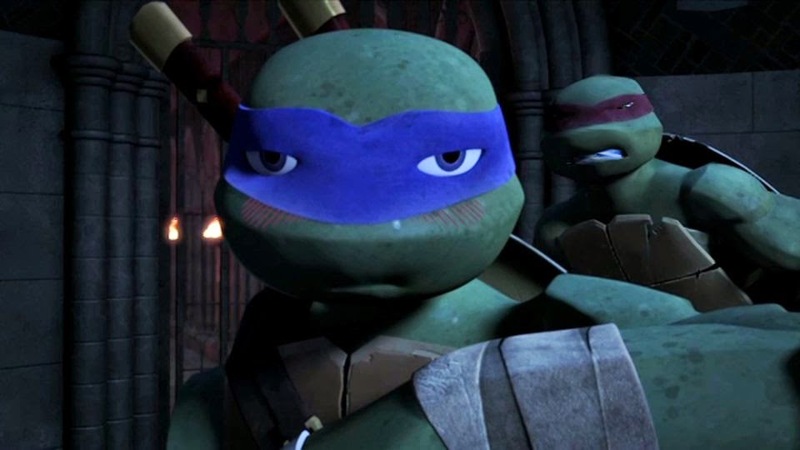 Additionally, Nickelodeon USA will premiere and show a brand-new episode of the networks hit CG-animated "Teenage Mutant Ninja Turtles", titled "Vengeance Is Mine", on Sunday 29th June 2014 at 11:00am (ET/PT)! 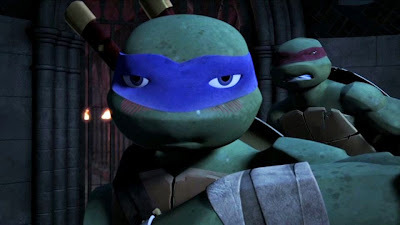 In the all-new episode of TMNT, Leonardo goes solo to save Karai against Splinter's wishes but gets captured himself so it is up to Karai to save both of them. To celebrate Nick USA showing brand-new episodes of "Haunted Hathaways" and "Teenage Mutant Ninja Turtles" this weekend, Nick USA's publicity office has unveiled three all-new super sneak peek previews of all three new episodes, which you can watch in the online streaming video clips below! Teenage Mutant Ninja Turtles “Vengeance is Mine” Clip from Elizabeth Cain on Vimeo. Follow NickALive! on Twitter, Tumblr, Google+, via RSS, on Instagram, and/or Facebook for all the latest Nickelodeon, The Haunted Hathaways and Teenage Mutant Ninja Turtles News! Nickelodeon, the number-one entertainment brand for kids and families, has today, Thursday 26th June 2014, announced in the following press release, from Business Wire, the exciting Nick News that Nickelodeon will celebrate kids' love of play this summer with three "Road to Worldwide Day of Play" events that will visit San Diego, California (Monday 30th June to Wednesday 2nd July 2014); Detroit, Michigan (Wednesday 30th July to Friday 1st August 2014); and a third city (Wednesday 3rd to Friday 5th September 2014) chosen by kids themselves via an online contest launching Monday 30th June 2014! 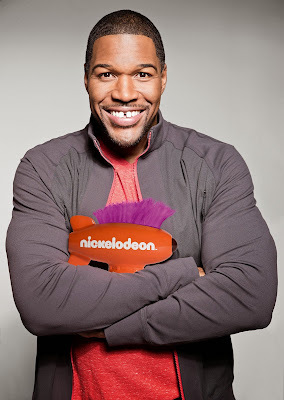 Nick's summer time celebration of play will culminate with Nickelodeon's Worldwide Day of Play event on Saturday 20th September 2014, when the network goes dark and its partners host grassroots activities to celebrate play. Through Sunday 27th July 2014, kids ages 7-12 can log onto http://www.nick.com/play to tell Nickelodeon why their hometown should get a visit on the "Road to Worldwide Day of Play" tour. One grand-prize winner will be chosen from the submissions and will earn an opportunity to bring Nickelodeon-themed games, slime, and its live-action stars to local events in their hometown. As a lead up to Worldwide Day of Play (Sept. 20), Nickelodeon is partnering with organizations in San Diego, Detroit and the third contest-winning city to bring Nick-themed activities to the local partner events that encourage kids to get up and get active. These events will feature fun-filled games, appearances by stars from Nickelodeon hit shows "Instant Mom", "The Haunted Hathaways" and "The Thundermans", costumed characters, a grant presentation to a local non-profit organization and more. In San Diego, Nickelodeon is teaming-up with the Jackie Robinson YMCA; USA BMX; the Sports Training, Academics & Recreation/Police Athletic League (STAR/PAL); the San Diego Padres; Pro Kids | The First Tee of San Diego; the Salvation Army Kroc Center; and Youth and Leaders Living Actively (YALLA) for various events from June 30 to July 2. Stars from the Nickelodeon hit series "Instant Mom", Sydney Park and Tylen Williams, will also make appearances at select events. Worldwide Day of Play is part of Nickelodeon's ongoing health and wellness efforts and continues the network's legacy of promoting positive messages to its viewers. In addition to hosting its flagship event, on Sept 20, Nickelodeon will once again suspend programming from 12:00pm to 3:00pm in order to encourage kids to go outside and get active. Event details regarding Detroit, the contest-winning city and the network's Sept. 20th event will be announced in the coming weeks. Kids and families can also visit http://www.nick.com/play to find photos and videos from "Road to Worldwide Day of Play" events, get tips on the best ways to play and access toolkits to help plan their own Worldwide Day of Play activities. United States Tennis Association (USTA) is a presenting sponsor of Nickelodeon's 11th annual Worldwide Day of Play. The USTA will hold youth tennis demonstrations taking place in "Road to Worldwide Day of Play" cities, creating a "hands-on" opportunity for families to experience tennis. Kids are learning the game through USTA's youth initiative which is geared towards getting more kids to participate in tennis using equipment and courts tailored to a child's size. NEW YORK--(BUSINESS WIRE)--Nickelodeon will celebrate kids’ love of play this summer with three “Road to Worldwide Day of Play” events that will visit San Diego, Calif. (June 30- July 2); Detroit, Mich. (July 30-Aug. 1); and a third city (Sept. 3-5) chosen by kids themselves via an online contest launching Monday, June 30. The summer time celebration of play will culminate with Nickelodeon’s Worldwide Day of Play event on Saturday, Sept. 20, when the network goes dark and its partners host grassroots activities to celebrate play. "Through this year's 'Road to Worldwide Day of Play' initiative, we are putting kids' front and center by celebrating all of the ways they love to play and stay active," said Marva Smalls, Executive Vice President of Public Affairs and Administration, Nickelodeon Group. 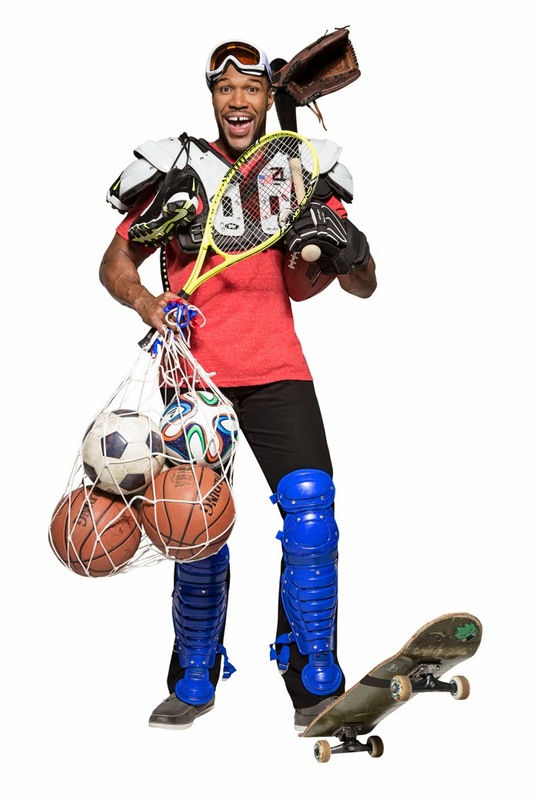 "We are working in tandem with our many national and local partners to go into communities to empower kids and their families to adopt more active lifestyles." Through July 27, kids ages 7-12 can log onto http://www.nick.com/play to tell Nickelodeon why their hometown should get a visit on the “Road to Worldwide Day of Play.” One grand-prize winner will be chosen from the submissions and will earn an opportunity to bring Nickelodeon-themed games, slime, and its live-action stars to local events in their hometown. As a lead up to Worldwide Day of Play (Sept. 20), Nickelodeon is partnering with organizations in San Diego, Detroit and the third contest-winning city to bring Nick-themed activities to the local partner events that encourage kids to get up and get active. These events will feature fun-filled games, appearances by stars from Nickelodeon hit shows Instant Mom, The Haunted Hathaways and The Thundermans, costumed characters, a grant presentation to a local non-profit organization and more. In San Diego, Nickelodeon is teaming-up with the Jackie Robinson YMCA; USA BMX; the Sports Training, Academics & Recreation/Police Athletic League (STAR/PAL); the San Diego Padres; Pro Kids | The First Tee of San Diego; the Salvation Army Kroc Center; and Youth and Leaders Living Actively (YALLA) for various events from June 30 to July 2. Stars from the Nickelodeon hit series Instant Mom, Sydney Park and Tylen Williams, will also make appearances at select events. Worldwide Day of Play is part of Nickelodeon’s ongoing health and wellness efforts and continues the network’s legacy of promoting positive messages to its viewers. In addition to hosting its flagship event, on Sept 20, Nickelodeon will once again suspend programming from 12p.m. to 3p.m. in order to encourage kids to go outside and get active. Event details regarding Detroit, the contest-winning city and the network’s Sept. 20th event will be announced in the coming weeks. Kids and families can also visit http://www.nick.com/play to find photos and videos from “Road to Worldwide Day of Play” events, get tips on the best ways to play and access toolkits to help plan their own Worldwide Day of Play activities. United States Tennis Association (USTA) is a presenting sponsor of Nickelodeon’s 11th annual Worldwide Day of Play. The USTA will hold youth tennis demonstrations taking place in “Road to Worldwide Day of Play” cities, creating a “hands-on” opportunity for families to experience tennis. Kids are learning the game through USTA’s youth initiative which is geared towards getting more kids to participate in tennis using equipment and courts tailored to a child’s size. Follow NickALive! on Twitter, Tumblr, Google+, via RSS, on Instagram, and/or Facebook for the latest Nickelodeon and Worldwide Day of Play News! Showfax, Inc., a website which provides resources for the professional acting community, is reporting the very exciting Nickelodeon News that Nickelodeon may be planning to bring the characters of the networks hit original comedy series "The Thundermans" and "The Haunted Hathaways" together for a epic crossover special of superhero proportions! Showfax, Inc. is listing a Nickelodeon Casting Call for a actor to play the role of 'Chad' in the crossover episode, long-speculated to be titled 'Haunted Thundermans' (production code #211). The episodes' title suggests that the Hathaways/Thundermans special will be a "Haunted Hathaways" season two episode, as each episode of "The Haunted Hathaways" (except the pilot episode) has the word 'Haunted' at the beginning, such as "Haunted Sleepover" and "Haunted Voodoo". Additionally, Showfax, Inc. is reporting that a upcoming brand-new season two episode of "The Thundermans" will be titled "Pheebs Will Rock You" (#207), and that Nick is looking for actors to audition to play characters named 'Flap Jack', 'Gideon', 'Jay Jay', 'Lars', 'Raymond', and a bouncer in the episode. Follow NickALive! on Twitter, Tumblr, Google+, via RSS, on Instagram, and/or Facebook for all the latest Nickelodeon, The Haunted Hathaways and The Thundermans News! The television industry news website Broadcast has announced the very exciting Nickelodeon UK News that Nickelodeon UK's localised version of the popular Nick App has won the "Best App or Website (Channel, Strand or Genre)" award in the Broadcast Digital Awards 2014! Congratulations Nickelodeon UK! 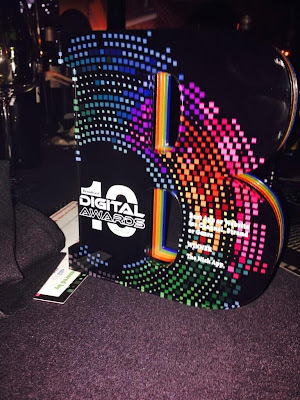 Nickelodeon UK's "Best App or Website" Broadcast Digital Awards 2014 trophy for The Nick App. Photo from MTV UK's official Twitter profile page, Twitter.com/MTVUK. Nick UK's version of The Nick App beat off stiff competition against CBeebies Playtime, itv.com/news, E4.com, and www.horseandcountry.tv. The "Best App or Website (Channel, Strand or Genre)" category of the Broadcast Digital Awards recognises and rewards outstanding second screen content that resulted in viewers becoming more engaged with a show or channel. Nominees of the category can have elements of synchronicity, immersive rich content, or integrate with social media in an innovative way. Available for free and featuring over 200 pieces of exclusive Nickelodeon-themed content, the Nick App UK, the first international version of the Nick App since launching in the USA in February 2013, is available for iPhone, iPad and iPod touch - exclusively on the App Store! The UK launch of the Nick App in November 2013 marked the first availability of the Nick App outside of the US where it launched in February 2013 and amassed five million downloads. The Nick App has also received the prestigious Award for Outstanding Creative Achievement in Interactive Media - User Experience And Visual Design at the 65th Emmy® Awards and has been nominated for the 'Best Streaming Video Platform' award in the 2013 iKids Awards. Featuring a immersive branded experience, the Nick App allows NickHeads in the UK and Ireland to explore a laughter and slime-filled world that showcases content from hit Nickelodeon and Nicktoons shows such as "Sam & Cat", "The Haunted Hathaways", "SpongeBob SquarePants", "The Thundermans", "Teenage Mutant Ninja Turtles", "Rabbids Invasion", "Monsters Vs Aliens", "House of Anubis" and "Sanjay and Craig". Kids are able to interact with the Nick brand through a moveable tile layout that can be swiped in any direction, promoting discovery and exploration and offering fans instant and on-demand access to exclusive Nickelodeon content. The app is a destination for short-form videos, behind-the-scenes clips and comedic sketches. Photos from Nick stars and animated characters are also available as are specially created polls, blogs, games and voting for the Nickelodeon "Kids' Choice Awards" as well as full-length Nickelodeon episodes. The Nick App also features a intuitive "Do Not Touch" button, which unleashes a series of surprises if pressed. New content is added to the Nick App every day. More information on the Nick App can be found at nick.co.uk/app. Nickelodeon UK supported the launch of the Nick App in November 2013 on Nickelodeon's online and social media channels as well as on-air through the 'Appy Christmas competition, where kids had the chance to win a iPad Mini everyday, making it a very Appy Christmas! Special promotional spots to introduce the app and its content was also be broadcast on air. 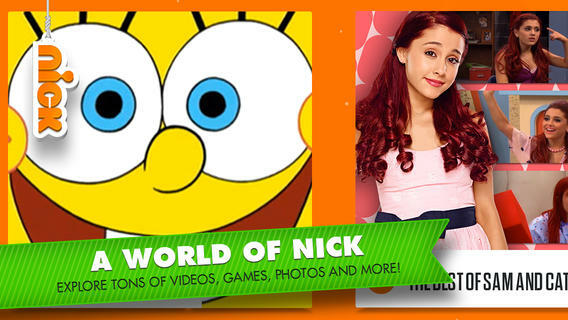 The Nick App is available free from the UK App Store on iPhone, iPad or iPod touch or here. Nickelodeon Latin America also recently launched a localised version of The Nick App in May 2014. 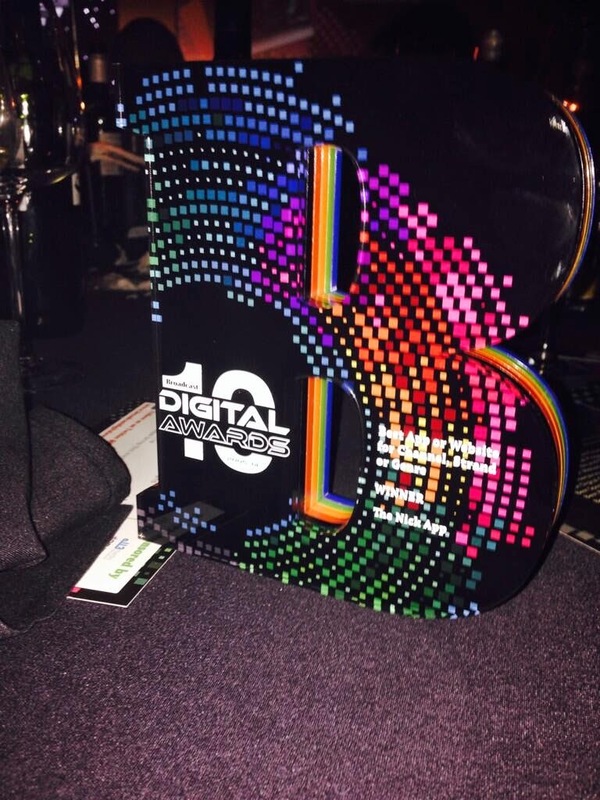 2014 saw a record number of entries for the Broadcast Digital Awards, all of which were of an incredibly high standard. Following some lively debate and careful evaluation, Broadcast's judging panel decided which entries went through to the shortlist. Judges felt the shortlist demonstrated creativity and what is currently at the cutting edge of digital broadcasting and multiplatform content. Renowned within the industry, the Broadcast Digital Awards have been recognising digital innovation and content creativity in broadcasting for the past 10 years. The Awards celebrate outstanding content from channels that achieve scale, volume and noise, no matter what their budget or position on the EPG. There has been a lot of change in the digital space over the past 10 years, with innovation and creativity no longer restricted to the TV screen. The Broadcast Digital Awards now include categories for TV, online and gaming. Whether it's large-scale multiplatform projects, user-friendly apps or highly targeted social media campaigns, there is a wealth of entertaining, and effective, content that deserves to be recognised. 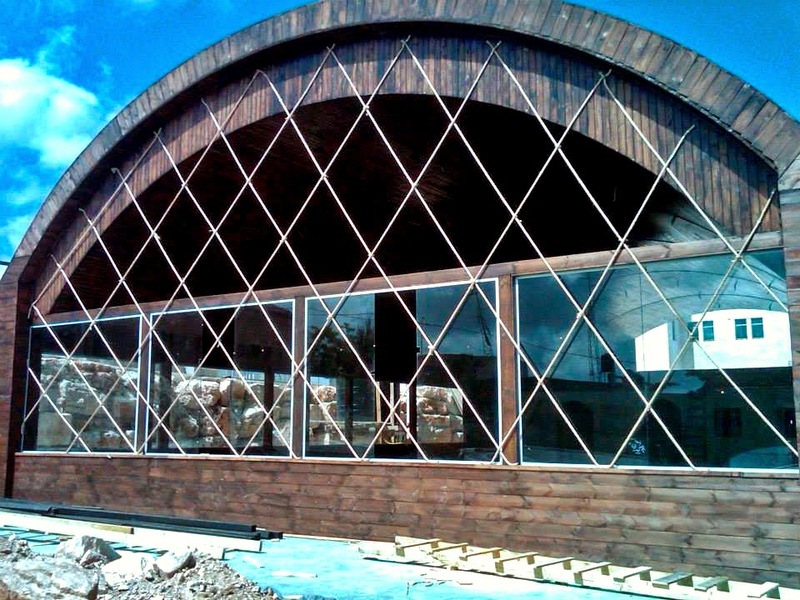 To mark the tenth anniversary of the Awards, Broadcast had a new venue for 2014. The Brewery, London, played host to more than 600 of the industry's finest on Wednesday 25th June 2014. You can find a full list of winners and finalists of the 2014 Broadcast Digital Awards, wonderfully presented by Adam Buxton, here on the awards official website, broadcastdigitalawards.co.uk. Follow NickALive! on Twitter, Tumblr, Google+, via RSS, on Instagram, and/or Facebook for the latest Nickelodeon UK and Nick App News and Highlights! MTV USA To Revive "Total Request Live" For One-Off Ariana Grande Special, "Total Ariana Live"
The Associated Press is reporting the exciting Nickelodeon Star News in the following article, from CBS News that Nickelodeon USA's sister network, MTV USA, will reprise its popular former "Total Request Live" countdown show for a one-off special with Nickelodeon Star and breakthrough pop singer Ariana Grande ("Sam & Cat", "Victorious") called "Total Ariana Live"! The network announced today, Wednesday 25th June 2014, that MTV will bring back the series on Wednesday 2nd July 2014. Grande has the No. 2 song in the USA with the saxophone-laced "Problem". The 20-year-old will perform her latest hit on "Total Ariana Live", debut her follow-up single, "Break Free", and discuss her upcoming second studio album. The half-hour "Total Ariana Live" will air next Wednesday at 7:00pm ET/PT on MTV USA. MTV will reprise its former "Total Request Live" countdown show for a day with breakthrough pop singer Ariana Grande. The network announced Wednesday it will bring back the series on July 2. Grande has the No. 2 song in the country with the saxophone-laced "Problem." The 20-year-old will perform her latest hit on "Total Ariana Live," debut her follow-up single and discuss her upcoming sophomore album. "TRL" ended its run in 2008 after 10 years. The show was MTV's most influential franchise, but the network pulled the plug after declining ratings. Grande was the star of the Nickelodeon sitcoms "Victorious" and "Sam & Cat." She released her debut album last year, which featured the hit "The Way." The half-hour "Total Ariana Live" will air next Wednesday at 7 p.m. E.
Follow NickALive! on Twitter, Tumblr, Google+, via RSS, on Instagram, and/or Facebook for the latest news about your favorite Nickelodeon Stars! 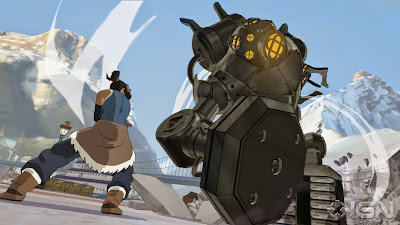 The entertainment news website IGN UK is reporting the very exciting Nickelodeon News in the following article that Platinum Games is developing a brand-new video game based on Nickelodeon's popular original fantasy steampunk-themed animated series (Nicktoon) "The Legend of Korra"! The "Metal Gear Rising: Revengeance" and "Bayonetta 2" studio and Activision will launch "The Legend of Korra", a downloadable third-person combat game, during Fall/Autumn 2014 on PC, Xbox One, Xbox 360, PlayStation 4, and PlayStation 3. You can watch Platinum Games and Activision's trailer for their upcoming "The Legend of Korra" video game in the online streaming video clip below. "Legend of Korra" writer Tim Hedrick is writing the story, which takes place between "The Legend of Korra"'s second and third seasons (Book Two: Spirits and Book Three: Change). 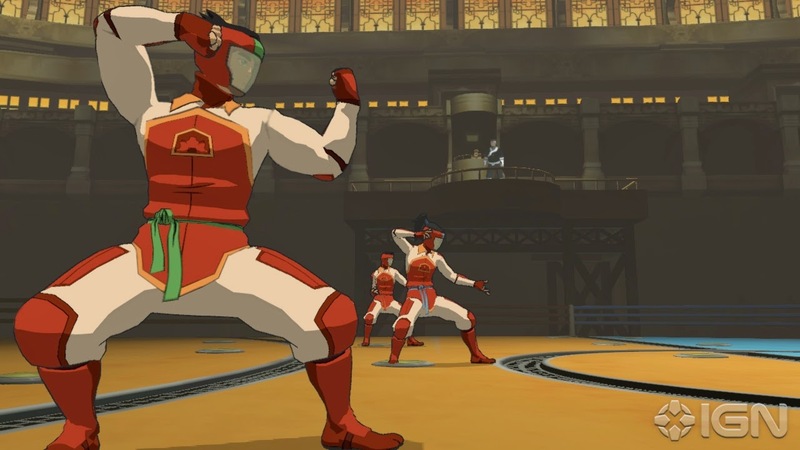 As the series' leading lady, players will use the Avatar's fire, earth, air, and water elements in combat to fight familiar enemies such as Mecha Tanks and Chi Blockers, as well as other Benders in the 3-on-3 Pro-Bending arena. A Webfoot Technologies-developed turn-based strategy version of "The Legend of Korra" will also be released on Nintendo 3DS this year. Where Platinum's action game is all about fast-paced martial-art combat, the 3DS game will "focus on tactically maneuvering Korra and her allies on the battlefield." 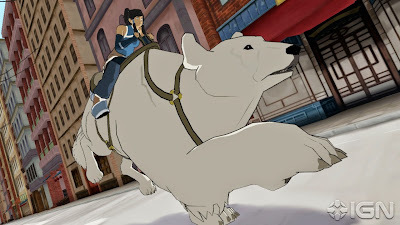 Further news and information about Platinum's "The Legend of Korra" game is expected to be released later this week, along with IGN's hands-on review of the game. "The Legend of Korra: Book Three" debuts on Nick USA on Friday 27th June 2014 at 7:00pm (ET/PT). TLoK fans can catch up on what happened in Book One and Book Two here on Nick.com. A turn-based 3DS game is also coming, but from another studio. Platinum Games is developing The Legend of Korra, a third-person combat game based on the Nickelodeon TV show. The Metal Gear Rising: Revengeance and Bayonetta 2 studio and Activision will launch its downloadable Legend of Korra game this fall on PC, Xbox One, Xbox 360, PlayStation 4, and PlayStation 3. Korra scribe Tim Hedrick is writing the story, which takes place between The Legend of Korra’s second and third seasons. As the series' leading lady, players will use the Avatar's fire, earth, air, and water elements in combat to fight familiar enemies such as Mecha Tanks and Chi Blockers, as well as other Benders in the 3-on-3 Pro-Bending arena. A Webfoot Technologies-developed turn-based strategy version of The Legend of Korra will also hit Nintendo 3DS this year. 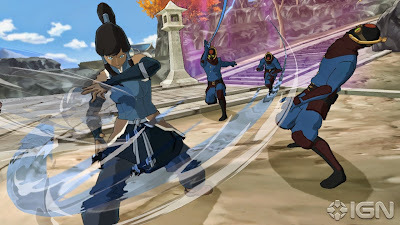 Where Platinum's action game is all about fast-paced martial-art combat, the 3DS game will "focus on tactically maneuvering Korra and her allies on the battlefield." Look for more on Platinum's The Legend of Korra game, including our hands-on impressions, later this week. The Legend of Korra: Book Three debuts this Friday. Catch up on what happened in Book Two, and stay tuned for episodic reviews on IGN. Follow NickALive! on Twitter, Tumblr, Google+, via RSS, on Instagram, and/or Facebook for the latest Nickelodeon Games and The Legend of Korra News! Nickelodeon, the number-one entertainment brand for kids and families, has announced and confirmed the very exciting Nickelodeon News in the following press release, from The Futon Critic, that, after a much-anticipated return, Nick USA will premiere "The Legend of Korra" - "Book 3: Change" on Friday 27th June 2014 at 7:00pm (ET/PT) with two back-to-back episodes - "A Breath of Fresh Air" and "Rebirth", followed by a special bonus episode, "The Earth Queen"! Brand-new episodes will continue rolling out every Friday at 8pm (ET/PT) beginning 11th July 2014. To celebrate the debut of "Legend of Korra" season three, Nickelodeon USA's press office has unveiled a super sneak peek of the first brand-new episode from "Book 3: Change", "A Breath of Fresh Air", which you can watch in the high definition (HD), high quality (HQ) online streaming video clip below! The first two episodes follow the events of Harmonic Convergence, and Avatar Korra discovers that her decision to leave the spirit portals open has unexpected consequences. Wild spirit vines have overgrown Republic City and Airbenders are suddenly popping up across the four nations. Korra, Tenzin and Team Avatar search for new Airbenders in an effort to recruit them and rebuild the Air Nation. Meanwhile, a band of sinister criminals are organizing to hunt down the Avatar themselves. Additionally, "The Legend of Korra - Book Two: Spirits" Blu-ray and DVD, created by Nickelodeon Home Entertainment and distributed by Paramount Home Media Distribution, will be available Tuesday 1st July 2014. Also, for a limited time, TLoK fans located in North America can relive Korra's adventure so far by watching all currently released episodes of "Korra" for free on nick.com now, which also includes special interviews and exclusive content! After a much-anticipated return, Nickelodeon will premiere The Legend of Korra Book 3: Change this Friday, June 27, at 7p.m. (ET/PT) with two back-to-back episodes - "A Breath of Fresh Air" and "Rebirth" followed by a special bonus episode, "The Earth Queen." Brand-new episodes will continue rolling out every Friday at 8p.m. (ET/PT) beginning July 11. The Legend of Korra - Book Two: Spirits Blu-ray and DVD, created by Nickelodeon Home Entertainment and distributed by Paramount Home Media Distribution, will be available July 1. Also, for a limited time, watch all of the Korra episodes for free on nick.com now, which also includes special interviews and exclusive content. The Legend of Korra takes place 70 years after the events of Avatar: The Last Airbender and follows the next Avatar after Aang - a girl named Korra (Janet Varney) who is from the Southern Water Tribe. Book 3: Change continues the journey of Korra, a 17-year-old headstrong and rebellious girl who continually challenges and bucks tradition on her quest to become a fully realized Avatar in a world where benders are under attack. The series voice cast includes Janet Varney (Dinner and a Movie) as Korra, David Faustino (Married... with Children) as Mako, P.J. Byrne (Wolf of Wall Street) as Bolin, J.K. Simmons (The Closer) as Tenzin, Mindy Sterling (Austin Powers: International Man of Mystery) as Chief Lin Beifong, Seychelle Gabriel (Falling Skies) as Asami Sato, Kiernan Shipka (Mad Men) as Jinora, and Eva Marie Saint (Superman Returns) as Katara. Book 3 “A Breath of Fresh Air” Clip from Elizabeth Cain on Vimeo. Follow NickALive! on Twitter, Tumblr, Google+, via RSS, on Instagram, and/or Facebook for the latest Nickelodeon and The Legend of Korra News! Country Music Sensation Florida Georgia Line Set to Perform Live at Nickelodeon's First Ever "Kids' Choice Sports 2014"
Nickelodeon, the number-one entertainment brand for kids and families, has today, Wednesday 25th June 2014, announced in the following press release, from Business Wire, that award-winning country stars Florida Georgia Line will make their debut appearance on Nickelodeon at UCLA's Pauley Pavilion as they perform a medley of songs at Nickelodeon's inaugural "Kids' Choice Sports" Awards! The duo will perform their 7X Platinum, #1 smash single "Cruise", and Platinum-certified hit "This is How We Roll" (featuring Luke Bryan). Additionally, a powerhouse line-up of athletes and celebrities have been confirmed to join host Michael Strahan live on Thursday 17th July 2014 (8:00pm ET/PT) to announce the inaugural group of honorees: Super Bowl XLVIII champion Marshawn Lynch (Seattle Seahawks), NBA MVP superstar Kevin Durant (Oklahoma City Thunder), Will Arnett and Megan Fox ("Teenage Mutant Ninja Turtles"), Stephen Curry (Golden State Warriors), Nick Cannon ("America's Got Talent"), Landon Donovan (Los Angeles Galaxy), Henrik Lundqvist (New York Rangers), Victor Cruz (New York Giants), Metta World Peace (New York Knicks), George Lopez ("Lopez Tonight"), pro skateboarder Tony Hawk, Olympic snowboarder Kelly Clark, pro surfer Bethany Hamilton, Anna Faris ("Mom"), Olympic gymnast McKayla Maroney, Debby Ryan ("Jessie"), Dez Bryant (Dallas Cowboys) Raini Rodriguez ("Austin & Ally") and Rico Rodriguez ("Modern Family"). Kids can cast their votes in 14 categories on Nick.com/sports and all of Nickelodeon's digital platforms feature a brand-new voting experience http://www.nick.com/kids-choice-sports/vote. Kids can get in the game by watching video highlights of the nominees in each category, voting for their favorite all-star athletes, and even multiplying their votes with a special "Kids' Choice Sports" Slime Multiplier game. In the game, fans can rack up points while playing four different slime-filled sports games, while simultaneously adding votes to their favorite nominees. Kids will also be able to gear up for game day by watching funny short videos, photo galleries and more on the site. Then on July 17th, Nick.com will be the official destination to score a court-side seat for all of the orange carpet action, complete with a live video and photo stream, straight from the main event, at 7:30p.m. ET/PT. LOS ANGELES--(BUSINESS WIRE)--Award-winning country stars Florida Georgia Line will make their debut appearance on Nickelodeon at UCLA’s Pauley Pavilion as they perform a medley of songs at Nickelodeon’s inaugural Kids’ Choice Sports Awards. The duo will perform their 7X Platinum, #1 smash single “Cruise,” and Platinum-certified hit “This is How We Roll” (featuring Luke Bryan). 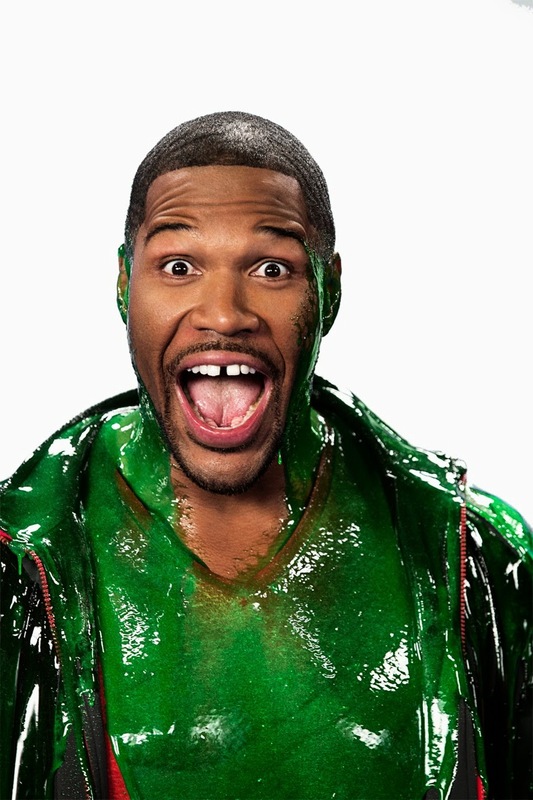 Additionally, a powerhouse line-up of athletes and celebrities have been confirmed to join host Michael Strahan live on Thursday, July 17 (8 p.m. ET/PT) to announce the inaugural group of honorees: Super Bowl XLVIII champion Marshawn Lynch (Seattle Seahawks), NBA MVP superstar Kevin Durant (Oklahoma City Thunder), Will Arnett and Megan Fox (Teenage Mutant Ninja Turtles), Stephen Curry (Golden State Warriors), Nick Cannon (America’s Got Talent), Landon Donovan (Los Angeles Galaxy), Henrik Lundqvist (New York Rangers), Victor Cruz (New York Giants), Metta World Peace (New York Knicks), George Lopez (Lopez Tonight), pro skateboarder Tony Hawk, Olympic snowboarder Kelly Clark, pro surfer Bethany Hamilton, Anna Faris (Mom), Olympic gymnast McKayla Maroney, Debby Ryan (Jessie), Dez Bryant (Dallas Cowboys) Raini Rodriguez (Austin & Ally) and Rico Rodriguez (Modern Family). Kids can cast their votes in 14 categories on Nick.com/sports. "We are so pumped to be a part of this fun night!" said Florida Georgia Line's Tyler Hubbard. "Both of us grew up playing sports and to be a part of celebrating kids' favorite players is awesome!" "I played baseball up through college and my coaches, teammates and pro- players were some of the most influential role models in my life," adds Florida Georgia Line's Brian Kelley. "To be able to applaud these athletes and perform for all those sports fans out there is amazing!" 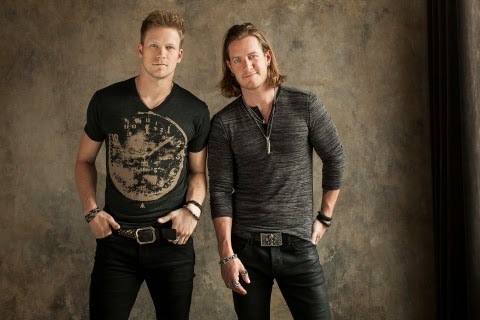 Florida Georgia Line has skyrocketed since releasing four consecutive, multi-week #1 smashes in the U.S. and Canada with the Platinum-certified hits "Stay," "Get Your Shine On," "Round Here" and 7X Platinum "Cruise," making Tyler Hubbard (Monroe, Georgia) and Brian Kelley (Ormond Beach, Florida) the only artists in history to join Brooks & Dunn in achieving this accolade. Breaking the record for longest #1 on Billboard's Hot Country Songs Chart, "Cruise" has sold over 7 million downloads and is the best-selling digital Country single of all time (SoundScan). 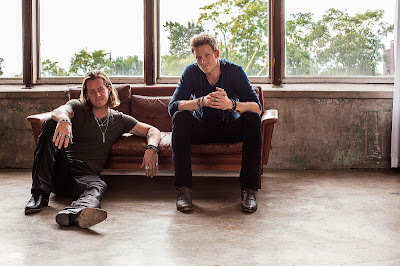 Amassing international appeal, the duo has tallied over 14.5 million tracks sold worldwide from their chart-topping, Platinum-certified debut album Here's to the Good Times (Republic Nashville), produced by Joey Moi. FGL penned over half of the tracks on the project, including the BMI Pop Award-winning "Cruise" remix and the Platinum-certified smash "This Is How We Roll" featuring Luke Bryan, whose recently released remix also features Jason Derulo. Previously taking home ACA, AMA, ACM, Billboard, CMA and CMT Music Awards, the superstar duo is currently in the studio working on their sophomore album, expected for release this fall. The ACM Vocal Duo of the Year is on the road for their headline run – THIS IS HOW WE ROLL SUMMER SERIES 2014 – featuring special guest Nelly and opener Chris Lane, in addition to direct support for Jason Aldean. For tour dates and more, check out FloridaGeorgiaLine.com. Kids can now vote on Nick.com/sports and all of Nickelodeon’s digital platforms feature a brand-new voting experience http://www.nick.com/kids-choice-sports/vote. Kids can get in the game by watching video highlights of the nominees in each category, voting for their favorite all-star athletes, and even multiplying their votes with a special Kids’ Choice Sports Slime Multiplier game. In the game, fans can rack up points while playing four different slime-filled sports games, while simultaneously adding votes to their favorite nominees. Kids will also be able to gear up for game day by watching funny short videos, photo galleries and more on the site. Then on July 17th, Nick.com will be the official destination to score a court-side seat for all of the orange carpet action, complete with a live video and photo stream, straight from the main event, at 7:30p.m. ET/PT. Presenting sponsor of Nickelodeon's Kids' Choice Sports 2014 is SUBWAY® restaurants. Associate sponsors are Air Hogs and Mattel's BOOMco. Legendary Super Bowl Champion and Fox NFL Sunday analyst Michael Strahan is the co-host of the top-rated morning talk show LIVE with Kelly and Michael. Prior to joining the ranks of the top sports broadcasters in the country, Strahan helped lead the New York Giants to their third Super Bowl championship in 2007 with a dramatic win over the New England Patriots. A seven-time Pro-Bowler and one of only four players ever to lead the NFL in sacks for two seasons during his 15-year NFL career, Strahan was named the NFL Defensive Player of the Year in 2001 when he broke the 18-year-old NFL single season sack record with 22.5 sacks, a record that still stands today. Ian Stewart and Hamish Hamilton of Done + Dusted (London 2012 Olympics Opening Ceremony, 2013 Victoria's Secret Fashion Show, iHeartRadio Music Awards 2014) will serve as executive producers of Kids' Choice Sports 2014, with Hamilton also serving as director of the show. Constance Schwartz of SMAC Entertainment is also an executive producer. As president of Done + Dusted, Ian Stewart devises, stages and films some of the biggest events across the planet. The prolific production company has garnered awards from the Grammys to a Peabody, Emmys and BAFTAs, Rose d'Ors and countless others. Recent highlights include: NBC's New Year's Eve with Carson Daly 2012-2013, NBC's Hurricane Sandy Coming Together benefit, CNN Heroes: An All-Star Tribute 2012 and Victoria's Secret Fashion Show 2013. Hamish Hamilton's credits as director include the 2014 Oscars, Super Bowl Halftime Show 2014, all four ceremonies for the London 2012 Olympic Games, 2013 MTV Video Music Awards and The Rolling Stones at Glastonbury. This year he received two BAFTAs and an Emmy nomination. Hamilton began his directing career in Scotland working for the BBC and has since travelled far and wide shooting documentaries, concert films and awards shows on every continent. Follow NickALive! on Twitter, Tumblr, Google+, via RSS, on Instagram, and/or Facebook for the latest Nickelodeon and Kids' Choice Sports 2014 News! To celebrate Nickelodeon Movies and Paramount Pictures upcoming "Teenage Mutant Ninja Turtles" movie, Nick and Paramount have today, Tuesday 24th June 2014, released the second teaser trailer for their brand-new TMNT film, which you can watch in the online streaming video below! Nick and Paramount's latest TMNT trailer showcases the cast of the movie, and features lots of turtle power. The trail also gives a first look at Whoopi Goldberg's character, Bernadette Thompson, and a good look at Shredder's claws (Watch out Master Splinter!). The story this time around introduces a new generation to the turtles — and they're definitely turtles, for any fans still worried about rumors of a new, alien origin. There's even a knowing exchange in the trailer, seemingly addressing those concerns. "So they're aliens?" asks Will Arnett as Vernon Fenwick. "No," April O'Neil (Megan Fox) replies. "That's stupid." There's also an interesting twist included in the spot. It appears that William Fichtner, who is credited at "The Shredder," might not be the guy in the suit, at least early on in an attack that leaves Master Splinter in need of avenging. Is the rat sensei in danger of dying? That would certainly shake things up in the series. Leading up to the release of their second "Teenage Mutant Ninja Turtles" trailer, Paramount Pictures used social media to help spread the word about their upcoming TMNT movie — with some help from one of the films stars, Megan Fox. 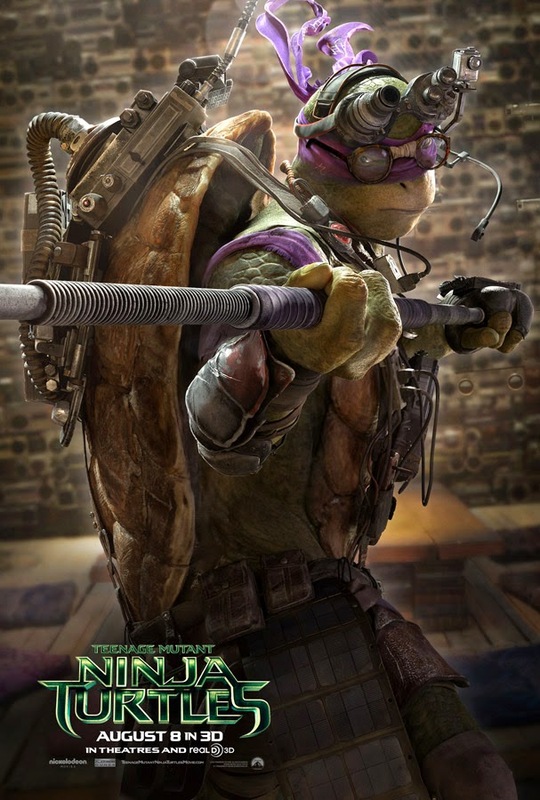 In a YouTube video released yesterday, Fox encouraged fans to visit turtlereveal.com and to Tweet the name of their favorite Ninja Turtle character in order to unlock four exclusive posters, each featuring one of the Turtle brothers, giving them their best look yet at the reimagined versions of the Heroes in a Half Shell - Leonardo, Raphael, Donatello and Michelangelo. 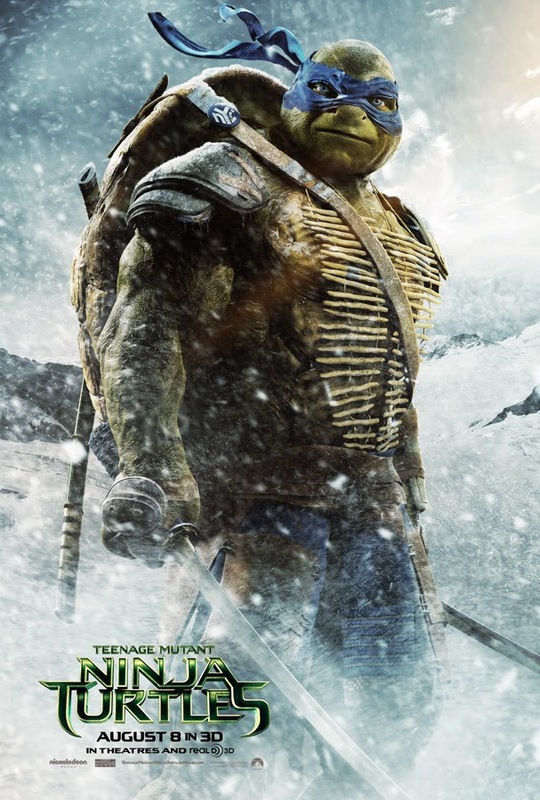 You can view all four of Paramount's TMNT posters under the trailer below. Once all four posters were unlocked, the new trailer was uploaded. In "Teenage Mutant Ninja Turtles", darkness has settled over New York City as Shredder and his evil Foot Clan have an iron grip on everything from the police to the politicians. The future is grim until four unlikely outcast brothers rise from the sewers and discover their destiny as Teenage Mutant Ninja Turtles. 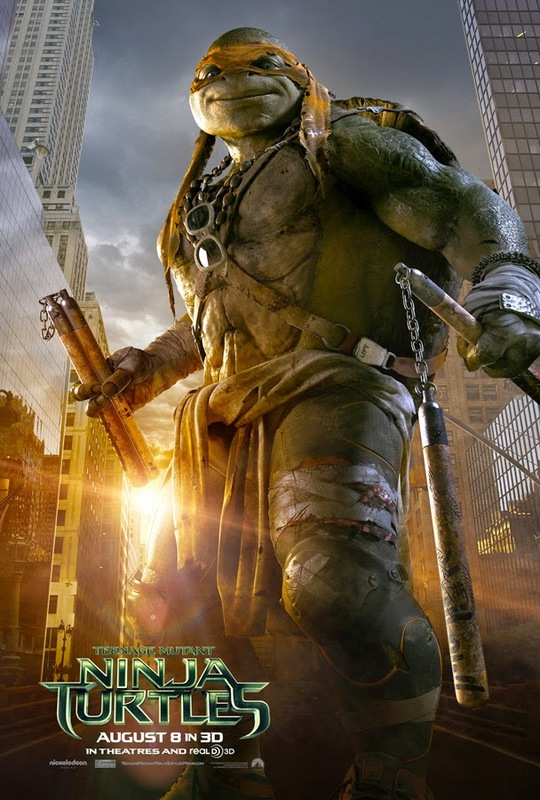 The Turtles must work with fearless reporter April O'Neil (Megan Fox) and her wise-cracking cameraman Vern Fenwick (Will Arnett) to save the city and unravel Shredder’s diabolical plan." 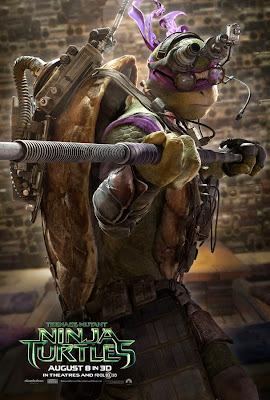 The film, directed by Michael Bay ("Transformers"), is an reboot of the iconic franchise and will feature a origins story for the Heroes in a Half Shell, with Alan Ritchson, Pete Ploszek, Jeremy Howard and Noel Fisher stepping into the shells of Raphael, Leonardo, Donatello, and Michelangelo respectively. 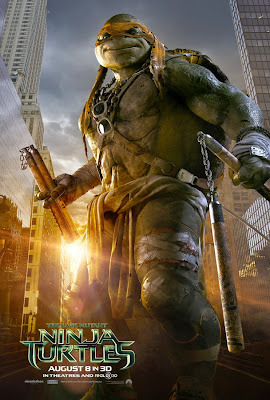 "Ninja Turtles" also stars Whoopi Goldberg as Bernadette Thompson, and Danny Woodburn as Splinter. 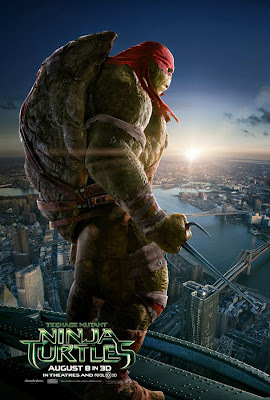 "Teenage Mutant Ninja Turtles" will be released in theatres and RealD 3D in the USA on Friday 8th August 2014 and in Digital 3D and 2D in cinemas across the UK on Friday 17th October 2014. Sources: Yahoo! Celebrity South Africa (2), Coming Soon, Metro, MTV News, and Entertainment Weekly's Inside Movies. Follow NickALive! on Twitter, Tumblr, Google+, via RSS, on Instagram, and/or Facebook for the latest Nickelodeon Movies and Teenage Mutant Ninja Turtles News! To help raise money for Children Mending Hearts, a charity dedicated to empowering disadvantaged youth through educational and arts programs that build empathy and global citizenry, Dan Schneider's production company Schneider's Bakery Productions, Inc. recently gave Children Mending Hearts a very special gift to auction on Charitybuzz for people to bid on - a trip for four people to visit the studio set where Dan will be filming Nickelodeon's upcoming brand-new crime-fighting comedy series "Henry Danger"! As part of the auctions listing, Children Mending Hearts and Dan Schneider have unveiled new information about Dan's all-new sitcom, "Henry Danger", as well as the shows planned logo, above. According to Children Mending Hearts, Nickelodeon Productions and Schneider's Bakery are due to start shooting "Henry Danger" at a location in Burbank, California, and that production for season one is currently scheduled to start in August 2014 and finish in November 2014. Created and written by hitmaker Dan Schneider (iCarly, Sam & Cat) and Dana Olsen (George of the Jungle, Inspector Gadget), "Henry Danger" is a brand-new crime-fighting comedy features 13-year-old Henry (Jace Norman) who lands a part-time job as Danger Boy, a sidekick-in-training to super crime fighter Captain Man (Cooper Barnes, The Perfect Host). Their colorful adventures throw Henry's otherwise ordinary life absurdly out of balance, yet he must keep his new job a secret from his best friends Charlotte (Riele Downs, The Best Man Holiday) and Jasper (Sean Ryan Fox). Follow NickALive! on Twitter, Tumblr, Google+, via RSS, on Instagram, and/or Facebook for the latest Nickelodeon and Henry Danger News!